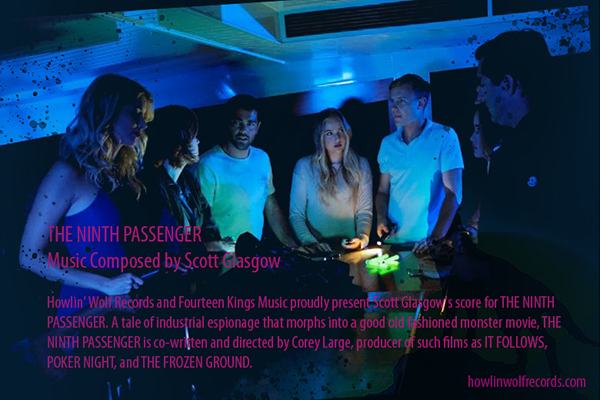 Howlin' Wolf Records and Fourteen Kings Music proudly present Scott Glasgow's score for THE NINTH PASSENGER. A tale of industrial espionage that morphs into a good old fashioned monster movie, THE NINTH PASSENGER is co-written and directed by Corey Large, producer of such films as IT FOLLOWS, POKER NIGHT, and THE FROZEN GROUND. 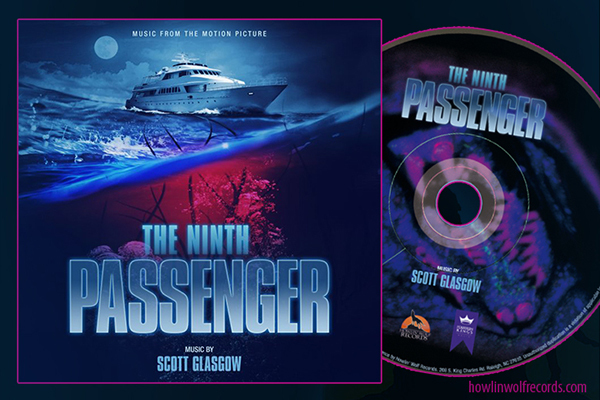 THE NINTH PASSENGER features liner notes written by composer Scott Glasgow with a note from composer Theron Kay, all beautifully packaged with designs by Javier Burgos. As a VERY limited and special offer, 25 CDs will be opened and signed by the composer prior to shipping. These limited autographed CDs are for orders placed on the Howlin' Wolf Records website and are first come, first served, so they will not last long!